Power Strip Vertical PDU for rack 16 Connections C13 and 4 C19 with Commando Plug 16A/32A. 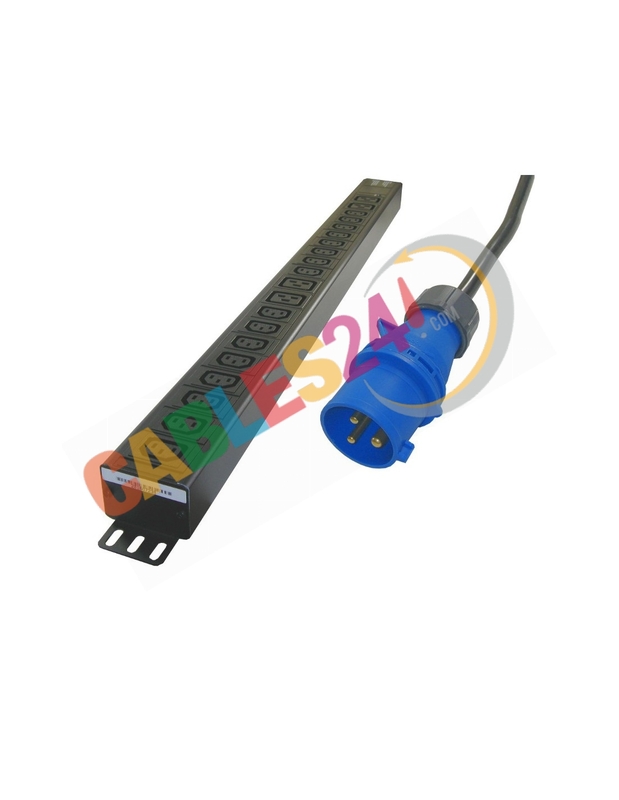 Termination, with a cable of 3 meters in length. 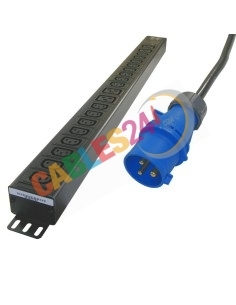 ShopOnline Cables24 available for sale Power Strip Vertical PDU for rack, power output of 16 Connections IEC 60320 C13 and 4 C19 with Commando Plug 16A/32A termination, with a cable of 3 meters in length. The Vertical Power Strip is designed to feed the installed equipment, facilitates the power supply of equipment distributed vertically throughout the rack, avoiding possible accidental disconnections.